Neurobiology and therapeutic applications of neurotoxins targeting transmitter release. Changes in microglia activity of rat brain induced by Macrovipera lebetina obtusa venom. Arestakesyan H.V., Physiological characterization of neonatal rat cardiomyocytes using laser scanning confocal microscopy, Issues in Theoretical and Clinical Medicine, “Journal of Scientific and Practical Medicine”, v. 20, N3 (113), 2017, pp. 49-53. Chavushyan V. A., Simonyan K. V., R. M. Simonyan, A. S. Isoyan, G. M. Simonyan, M. A. Babakhanyan, L. E. Hovhannisyian, Kh. H. Nahapetyan, L. G. Avetisyan and M. A. Simonyan. Effects of stevia on synaptic plasticity and NADPH oxidase level of CNS in conditions of metabolic disorders caused by fructose. BMC Complementary and Alternative Medicine. 2017; 17:540. Казарян К.В., Чибухчян Р.Г., Маргарян Ш. Г. , Особенности спонтанной электрической активности мочевого тракта: мочеточник, мочевой пузырь, уретра, Санкт-Петербург, “Журнал эволюционной биохимии и физиологии ”, т.53, N4, 2017, с.274-281. Казарян К.В., Чибухчян Р.Г., Мкртчян Э.Х., Корреляция между пейсмекерной активностью мочевого пузыря и ритмогенезом мочеточников у крыс, Санкт-Петербург, “Российский физиологический журнал им. И. М. Сеченова”, т. 103, N8, 2017, с. 902 - 911. Казарян. К.В., Пилипосян Т. А., Унанян Н. Г., Мкртчян Э.Х., Значение овариальной области в регуляции спонтанной электрической активности ритмогенных зон миометрия, Санкт-Петербург, “ Журнал эволюционной биохимии и физиологии ”, т.53, N5, 2017, с. 368 – 375. Morphological and functional alteration of erythrocyte ghosts and giant unilamellar vesicles caused by Vipera latifi venom. AG. Kirakosyan, M. Mohamadvarzi, L. Ghulikyan, N. Zaqaryan, A. Kishmiryan, & N. Ayvazyan,Comparative Biochemistry and Physiology Part C: Toxicology & Pharmacology, 2016, V. 190, pp 48–53. Anti-tumor effect investigation of obtustatin and crude Macrovipera lebetina obtusa venom in S-180 sarcoma bearing mice. 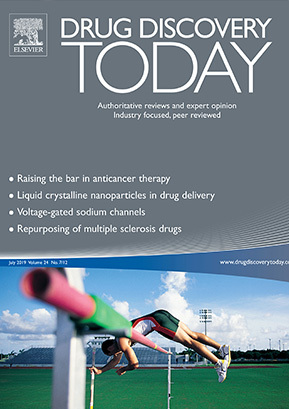 N. Ghazaryan, L. Ghulikyan, A. Kishmiryan, G. Kirakosyan, O. Nazaryan, T. Ghevondyan, N. Zakaryan, and N. Ayvazyan // European Journal of Pharmacology, 2015, volume 764, pp. 340-345. Study of Free-Radical Processes during Rotenone Modeling of Parkinson Disease. Ghazaryan N.A., Ghulikyan L.A., Chavushyan V. A., Ayvazyan N.M. 2016 Journal of Biochemical Chemistry 7; p. 1 – 8. H. Arestakesyan, Z. Karabekian, N. Ayvazyan, Effect of crude Macrovipera lebetina obtusa venom on adhesion properties of cardiomyocytes, cardiac fibroblasts and epithelial cells. 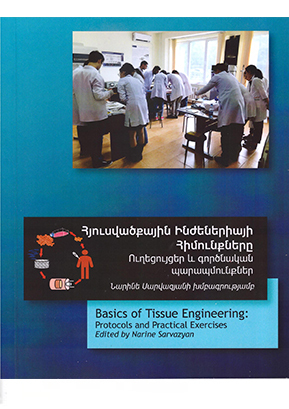 Biological Journal of Armenia, 2016, Special Issue, v. 36, pp. 18-22. Protective effects of hydroponic Teucrium polium on hippocampal neurodegeneration in ovariectomized rats. Simonyan K.V., Avetisyan L.G., Chavushyan V.A. // Pathophysiology. Volume 23, Issue 3, September 2016, P.169–179. Goji fruit (Lycium barbarum) protects sciatic nerve function against crush injury in a model of diabetic stress. Simonyan K.V., Chavushyan V.A. // BMC Complement Altern Med. 2016 Oct 24;16(1):415. Ghazaryan N. A., L. Ghulikyan, A. Kishmiryan, T. V. Andreeva, Yu. N. Utkin, V. I. Tsetlin, B. Lomonte and N. M. Aivazyan. Phospholipases a2 from Viperidae snakes: Differences in membranotropic activity between enzymatically active toxin and its inactive isoforms. BBA–Biomembranes, 2015, №1848, p.463-468. Kurtovic T., Balija ML, Ayvazyan NM, Halassy B. Paraspecificity of Vipera a. ammodytes-specific antivenom towards Montivipera raddei and Macrovipera lebetina obtusa venoms. 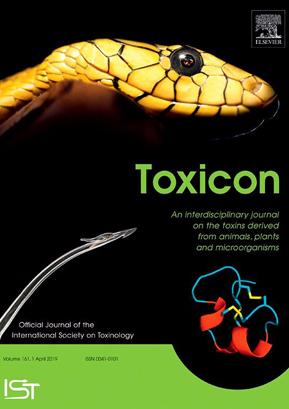 TOXICON, v. 78, February 2014, p. 103–112. Petrosyan T. R., Gevorkyan O. V., Chavushyan V. A., Meliksetyan I. B., Hovsepyan A.S., Manvelyan L. R. Effects of bacterial melanin on motor recovery and regeneration after unilateral destruction of Substantia Nigra pars compacta in rats. / Neuropeptides, 2014, v. 48, p. 37 - 46. Petrosyan T.R., Chavushyan V. A., Hovsepyan A.S. Bacterial melanin increases electrical activity of neurons in Substantia V.A.Nigra pars compacta. J Neural Transm 2014 121:259–265. Zaqaryan N.A., N.A. Ghazaryan, N.M. Ayvazian. Dynamic changes in lipid peroxidation and antioxidant level in rat’s tissues with Macrovipera lebetina obtusa and Montivipera raddei venom intoxication. Journal of Biophysical Chemistry, 2014, №5, p.152-160. Ipekchyan N.M., Badalyan S.A. The primary motor and primary sensory cortex – two local cortical centers of the sensorimotor representation of the body / Neuroscience and Behavioral Physiology. 2014, v. 44, N 4, p. 455-460. Aghajanov M. I, Yenkoyan K. B., Chavushyan V. A., and Sarkissian J. S. The Proline Rich Hypothalamic Peptide Is a Modulator of Functions of Neurotrophins and Neuronal Activity in Amyloid β Induced Neurodegeneration. Neurochemical Journal, 2014, v. 8, N1, p. 47–57. N. A. Kazarian, L. Gulikyan, B. Lomonte, T. V. Andreeva, V. I. Tsetlin, Yu. N. Utkin, and N. M. Aivazyan. Comparative Analysis of Membranotropic Properties of Various Phospholipases A2 from Venom of Snakes of the Family Viperidae. // Doklady Biochemistry and Biophysics, 2014, том 457, № 1, с. 111–113. Petrosyan T.R., Gevorkyan O.V., Chavushyan V.A., Meliksetyan I.B., Hovsepyan A.S., Manvelyan L.R. Effects of bacterial melanin on motor recovery and regeneration after unilateral destruction of Substantia Nigra pars compacta in rats / Neuropeptides, 2013 pp. 1-10. Fazelifar S. , Ebrahim K. , Sarkisian V. Effect of exercise training and detraining on serum leptin levels in obese young boys / Medicina dello Sport, Itali, 2013, 66(3), p.325-337. Fazelifar Saeid, Khosrow Ebrahim,Vaghinak Sarkisian. Effect of concurrent training and detraining on anti-inflammatory biomarker and physical fitness levels in obese children / Rev Bras Med Esporte , 2013, v.19, №5, p.365-370. Kazaryan K.V., Hunanyan N.G., Melkonyan N.N. Blood supply as a factor regulating pacemaker activity of the rat uterine horn / Russian Journal of Evolutionary Biochemistry and Physiology, St.- P., 2013, v. 49, № 1, p. 84-90. Chavushyan V.A, I. B. Meliksetyan, J. S. Sarkissyan, H. Y.Stepanyan, Z.A.Avetisyan, K. V. Simonyan, M. A. Danielyan, V. S. Kamenetskii. Electrophysiological and morpho-histochemical study of action of adrenalectomy on hippocampal neurons / Journal of Evolutionary Biochemistry and Physiology (Comparative and Ontogenic Physiology). St.- P., March 2013, v.49, Issue 2, p.193-202. Petrosyan T. R., Gevorkyan O. V., Meliksetyan I. B., Hovsepyan A. S., Manvelyan L. R. Neuroprotective Action of bacterial melanin in rats after corticospinal tract lesions. / Journal of Pathophysiology, Elsevier, v. 19, № 2, 2012, p. 71-80. Shahandeh M., Dabidi Roshan V., Hosseinzadeh S., Mahjoub S., Sarkissian V. Hippocampus BDNF and oxidative stress changes following chronic and acute treadmill exercise: responses and adaptations to lead-induced neurotoxicity/ Neural Regeneration Res, v.34, 2012, p. 125-137. Ipekchyan N.M., Structural Basis of the Inhibitory Functions of the Efferent Systems of the Parietal Cortex / Neuroscience and Behavioral Physiology, v.42, №9, 2012, p.988-995. Ipekchyan N.M.. Characteristics of Corticocortical Ipsilateral Connections of the Primary, Secondary, and Tertiary Sensorimotor Zones of the Cat Cerebral Cortex / Neuriscience and Behavioral Physiol., v.42. №4, 2012, p.323-326. Ayvazyan N.M., Ghazaryan N.A. Lipid bilayer condition abnormalities following Macrovipera lebetina obtusa snake envenomation / TOXICON, v. 60, Issue 4, 2012, p.607–613. Ayvazyan N.M., Ghazaryan N.A., Zaqarian N.A. Electroporation and electropermeabilization of lipid bilayer membranes in the course of snakes’ venom intoxication / Journal of Biophysical Chemistry, v.3, №1, 2012, p. 44-48. Ayvazyan N.M., Zaqarian N.A., Ghazaryan N.A. Molecular events associated with Macrovipera lebetina obtusa and Montivipera raddei venom intoxication and condition of biomembranes/ BBA–Biomembranes, v.1818, №5, 2012, p.1359-1364. Yenkoyan K.B., Safaryan K., Chavushyan V.A., Meliksetyan I.B., Navasardyan G., Sarkissian J.S., Galoyan A.A., Aghajanov M.I. 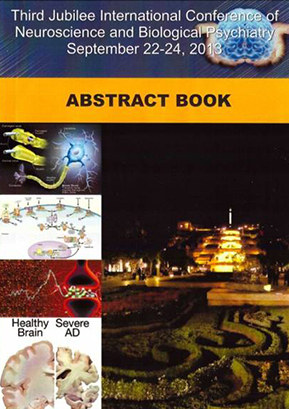 Neuroprotective action of proline-rich polypeptide-1 in β-amyloid induced neurodegeneration in rats / Brain Research Bulletin, v. 86, № 3-4, 2011, p. 262-271. Minasyan A.L., Aznauryan A.V., Meliksetyan I. B., Chavushyan V.A., Sarkissian J.S. Analysis of Dynamics of Degenerative and Regenerative Processes in the Flexor and Extensor Collaterals of Crushed Sciatic Nerve: Effects of Parathyroid Hormone / Neurochemical Journal, v. 5, №1, 2011, p. 52–68. Minasyan L., Aznauryan A. V., Meliksetyan I. B., Chavushyan V. A., Sarkissian J. S., Galoyan A.A. A Morphological–Histochemical Study of Neurodegenerative and Regenerative Processes in Flexor and Extensor Collaterals of the Sciatic Nerve after Crushing in the Presence of PRP-1 / Neurochemical Journal, v. 5, № 4, 2011, p. 278–284.